Let us help when you are locked out! 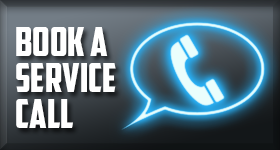 Call us 24/7 for a lockout service in Fort Saskatchewan, Alberta. Our local company is prepared to handle such urgent situations. Whether you need our assistance day or night, we’ll be there for you. Whether you are locked out due to lost keys or broken locks, we can fix up the problem on the spot. When you turn to Locksmith Fort Saskatchewan for such emergency services, you can be sure your requests will be covered promptly. We offer timely lockout service even if you are not in any danger. There is nothing pleasant not being able to have access to your own property. Since our techs are experts in all lock types and offer full home, office, and car lock and key services, they can deal with any issue. So when we come to hel p during an auto, office, or apartment lockout, we come prepared to extract keys, fix locks, and take care of any issue. Car lockout situations are common. They happen every day. But that doesn’t make them any less frightening. When you are locked out of your vehicle, call us to help you. We offer 24 hour lockout services in Fort Saskatchewan. Our team will be there to help and thus open the locked car door or trunk, extract the broken car key, replace the lost car key, or do anything else needed to fix the situation. Count on us when you can’t get in your home. We offer 24 hour house lockout Our tech will carry the right tools to pick your lock and let you in. If the key is broken in the lock, we extract and replace it. If the key is lost, we can change it and rekey the lock. If you simply forgot it in the house, our pro will open your door. We are also here to deal with an office lockout. When you can’t get into your office, industry, retail store, or any other business, we will be there to help and handle the problem which put you in this position. Count on our team to offer any required emergency locksmith service. Lockouts always happen for a reason. Be it the key or lock which put you in this awful place, be sure that we will tackle the issue as soon as we get there. 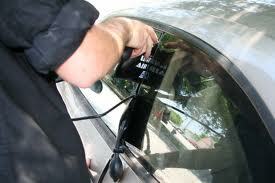 And our team always responds urgently to handle any Fort Saskatchewan lockout service need. Call us now.